Toyota's Prius Hybrid has remained the top selling car in Japan for the 19th consecutive month since the 3rd generation model went on sale. Toyota sold more than 315,000 units of its Prius gas-electric hybrid in Japan in 2010, making the car Japan’s bestselling vehicle for a single year to replace Toyota’s Corolla for the first time in 20 years. The previous annual record marked by the Corolla was about 300,000 units of sales in 1990. 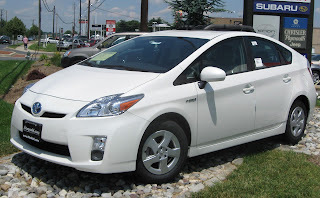 On the back of the government's subsidies and tax incentives for environmentally friendly cars, the Prius sold strongly also with its high gas mileage and relatively cheap price compared with conventional hybrid cars. Prius sales through November last year totaled 297,563 units. As of Dec. 28, Toyota marked another 18,000 units of sales, marking record sales of new vehicles in Japan for a single year.